There’s a music concert happening in Dubai to honour teachers all around the world, thanking them for their hard work. To celebrate, Rita Ora, Little Mix and Liam Payne will be performing live at the event! Don’t miss ‘The Assembly: A Global Teacher Prize Concert‘ in Dubai this March. If you haven’t already made plans or Valentine’s Day, get your tickets to RedFest DXB to see DJ Snake, G-Eazy and Jess Glynne live! Better yet, get a two-day pass and you’ll also get to watch Camila Cabello, Macklemore and Jax Jones the following day. Boyzone fans, you cannot miss this – no matter what! The Irish boyband is currently on tour for its latest album ‘Thank You & Goodnight’, and they’ll be stopping off in Dubai this April for one final concert. Yep, after 26 years of music, the boys are finally saying goodbye. Love Bollywood? Get your dancing shoes on because India’s most popular music composer duo, Vishal – Shekhar, are coming to Dubai to perform live at Bollywood Parks! With hits from some of the biggest Bollywood films ever, you know this concert is going to be epic. Ready to bamboleo?! Yep, Gipsy Kings is bringing its ‘Tour Gipsy Unidos’ world tour to Dubai this March! Famous for blending flamenco and salsa with Western pop and Latin music, you won’t want to miss out on this music concert in Dubai. Ready for all that jazz? 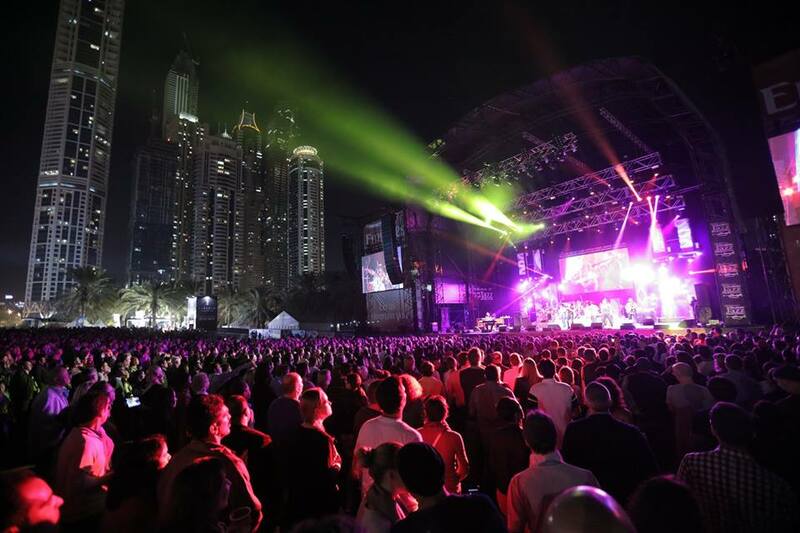 The annual Dubai Jazz Fest 2019 is finally back with three major acts headlining the three-day event! This year, they’ve got Alicia Keys, Jamiroquai and Snow Patrol performing live, as well as many more supporting acts to be announced. Calling all EDM, techno, deep house and trance music fans! Groove on the Grass, Dubai’s homegrown music festival, is kicking off the new season with an epic line-up! Book your tickets now to see popular electronic music duo Underworld live on stage, as well as Leftfield, Sebastian Mullaert aka Minilogue, Radio Slave, Monoloc and more.